Chico Dojo prides itself in teaching the art of karate. Our dojo is a fun, family environment filled with self defense techniques and confidence building attributes. Chico Dojo is owned and operated by Mike Evans. Mike has been training in Shorin-Ryu Karate for 26 years, and now holds a 7th degree black belt rank and has been training in Okinawan Karate for over 29 years. Chico Dojo Karate Club's mission is to offer quality training in Kobayashi Shorin Ryu Karate and Kobudo (weapons), a style from Okinawa, Japan. We offer instruction to adults and children, ages five and up. 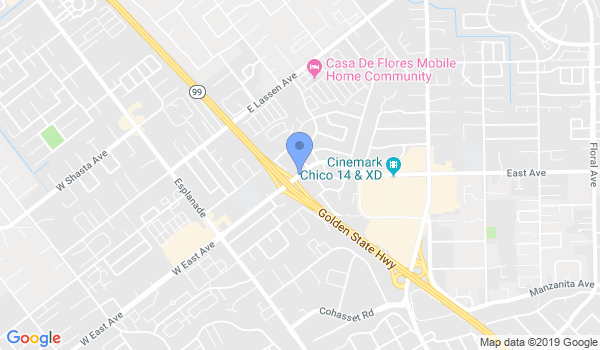 Would you like more information on hours, classes and programs available at Chico Dojo? Please contact the school with your questions. Update the details, Write a Review or Report Error of Chico Dojo.